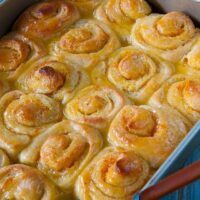 Steakhouse Orange Rolls From Your Bread Machine are distinctly orange-flavored sweet yeast rolls reminiscent of those served at my sister’s favorite steakhouse in Cullman, Alabama. Directions are included for mixing and kneading in a bread machine but you can certainly do it by hand or use a stand mixer. This post is dedicated to my Alabama sister and all lovers of anything flavored with oranges. 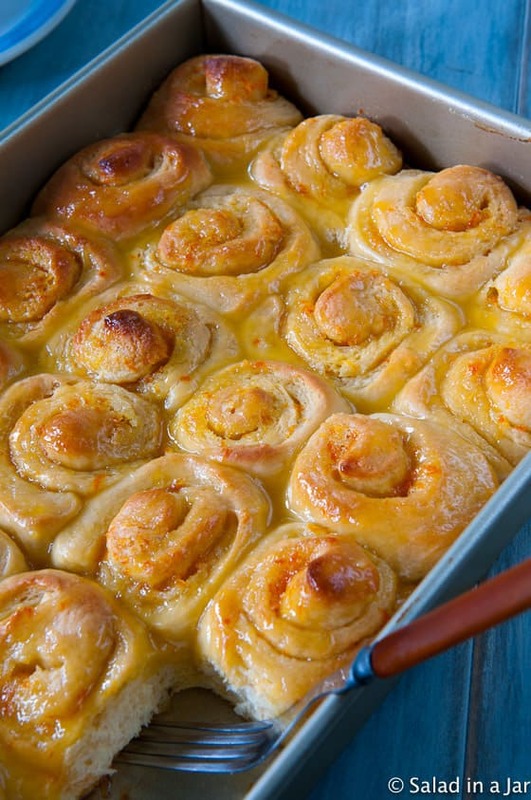 My sister Kay has been talking about these famous orange rolls for years. She was often encouraging me to come up with a recipe so she could make them herself at home. Since I had never been to the restaurant that serves these rolls, I could only go by her description. Words proved to be a poor substitute for actual taste-testing. I devised these Iced Orange Yeast Rolls a few years ago, but I was way off despite how scrumptious they are on their own credentials. A few years ago, my sister actually transported the famous rolls to my house. They didn’t fare so well after a 12-hour car trip. I was not impressed. During my annual visit last year, she finally took me by the restaurant. Since it wasn’t dinner time, we asked for a half dozen rolls to go. Now I understood what she had tried to describe to me for so long. The rolls were still hot when we got them and a little bit doughy, but I observed they were extremely orangey both in color and taste. The sweet stuff on top was a glaze, not an icing like you might put on traditional cinnamon rolls. I took notes in my mind and tried to remember the taste. Have you ever tried to remember exactly how something tastes? Kinda difficult actually, especially after some time has passed. Fast forward to a few weeks ago. I was inspired by a food magazine that recently printed a recipe for the famous rolls. The first step was to figure out how to use my bread machine to mix and knead it. No problem. However, I was not happy with the final product because the orange flavor wasn’t nearly as prominent as the real thing. I fixed that by using frozen orange juice concentrate in place of fresh orange juice and increasing the amount of orange peel used in the filling. Be careful not to pick up any of the white under the peel which can cause bitterness. Is This the Authentic Recipe? NO! I make no claims of authenticity regarding this recipe for Steakhouse Orange Rolls. They are a bit lighter and fluffier than the original rolls– more like traditional cinnamon rolls. In the final analysis, however, these rolls are mighty tasty and so fabulous that I want to eat half the pan by myself. Therefore, I’m declaring this experiment–DONE! For me, this is a special-occasion-only recipe. Way too much temptation to make very often. 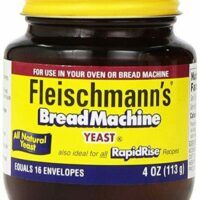 Add ingredients to a bread machine pan in order given. Leave lid open. Choose dough cycle and start. Observe dough after about 10 minutes. If dough does not stick to side of pan and then pull away because it is too dry, add a tablespoon of water. If dough is too wet, add flour a tablespoon at a time until dough sticks and then pulls away. Continue to add water or flour until dough looks just right according to this picture. Close lid and allow dough cycle to complete. When dough cycle finishes, check to make sure dough has doubled in size. If not, allow dough to continue to rise in the pan until it is double the original volume. IMPORTANT NOTE: Because this is a highly enriched dough, it takes longer than usual to rise. All at least an extra hour for this. Then remove dough from the bread machine pan by dumping it onto a floured surface. Roll into a rectangle measuring approximately 12 x 17 inches. Spread softened butter over rolled-out dough until dough is completely covered. Sprinkle sugar-orange zest mixture evenly over butter. Begin rolling dough from the long side. Roll as tightly as you can. Cut long roll in quarters. Cut each quarter into 5 evenly-sized rolls. Place inside buttered 9 x 13 inch pan, cover with a tea towel, and allow to rise in a warm place for about 45 minutes before baking. Preheat oven to 325 degrees Fahrenheit. Bake rolls for 25-30 minutes or until internal temperature reaches 190 degrees Fahrenheit. Prepare glaze while rolls bake. Combine all ingredients into a small saucepan and heat over medium temperature under mixture turns syrupy and coats the back of a spoon. Set aside to cool. Pour glaze over hot rolls as soon as they have been removed from the oven. This is a highly enriched bread dough and will take longer than usual to rise. Please allow at least an extra hour or longer prep time to make sure the dough has time to rise until double. Previous Post: « What Can I Do With Leftover Ham? What can I sub for the heavy cream?? Thanks. You can use milk but they won’t be quite as rich. Pls can I use fresh orange juice? Yes, you can use fresh orange juice. The flavor will be a milder orange. You might like it even better. Hey Paula, thank you for the Orange Roll recipe. You have got my curiosity up as to where these rolls are originated since I am an Alabama girl. Can you email me as to their whereabouts? I’ve got an idea, but not sure. Thanks! Can’t wait to try these, they look delicious! How much difference does it make whether the butter I use is salted or unsalted? Is that a “healthy” issue or it because of the interaction in the dough? No, salted vs unsalted is not a health issue. There’s pretty much nothing healthy about these rolls except maybe a little Vitamin C from the oranges. The reason I use unsalted butter, in general, is because it allows me to control the salt more precisely. If you are using salted butter, cut back on the amount of table salt. How much to cut back is kind of a guess since you don’t know exactly how much salt is in your salted butter. Paula, these orange rolls look fabulous. I can almost smell the orange, from your description. Love the story of how these came about. Paula, you are an inspiration to bread makers everywhere! This new recipe looks wonderful. Would you please elaborate regarding the instructions on forming the rolls, and how many rolls will this recipe make? Thanks so much. Hopefully, the instructions in the recipe are complete enough to guide you on forming the rolls. It’s basically just like cinnamon rolls. I get 20 rolls when I make them. But you can certainly make yours bigger or smaller if you want to. Feel free to write again if you hit a snag. Thank you for your kind words, Mai.